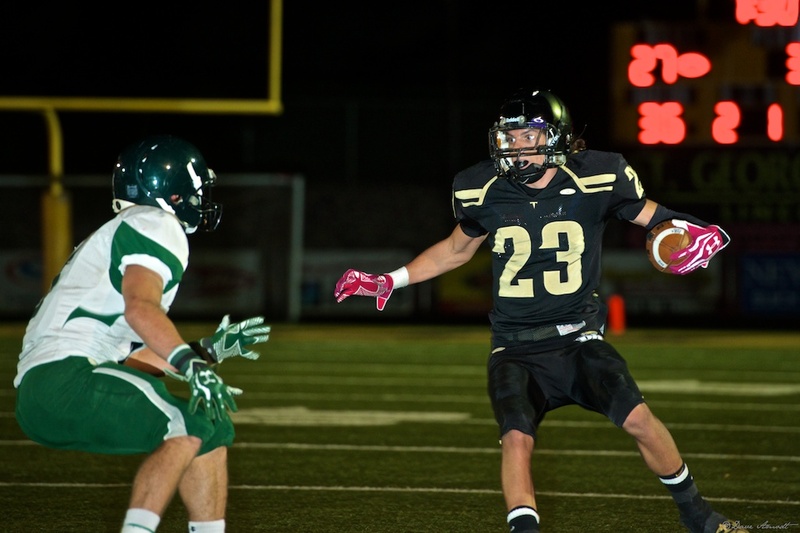 ST. GEORGE – For the second week in a row, the Desert Hills Thunder gave up the first points of the game at home. And for the second week in row, they took the lead right back within a matter of minutes. Ty Rutledge threw an interception on the first drive of the game and Payson converted it into a field goal to take a 3-0 lead early in the first quarter. Rutledge redeemed himself on the ensuing possession and masterfully conducted a Desert Hills scoring drive to put the Thunder ahead 7-3. Coach Carl Franke said his team wasn’t ready to play on the first drive and attributed the interception to a miscommunication between Rutledge and tight end Josh Anderson. The early go-ahead touchdown would prove to be the eventual game-winner as the Thunder never again relinquished the lead and walked away with a 48-21 victory. Payson managed to keep the game respectable and with the help of the Desert Hills defense, cut the Thunder lead to 27-15 early in the third quarter. The eager Thunder defense bailed out the Lions twice in the same drive, once with a roughing the passer penalty and the other with a late hit inside the red zone. The Lions eventually converted the penalties into a touchdown on a 15-yard pass on third down, but failed to convert the point after. But despite the penalties, Franke was more worried about his defense sticking to the basics. That 12-point margin was as close as Payson would get as Rutledge and the Thunder rattled off three more touchdowns, including a 22-yard strike to Anderson in the end zone. Rutledge spearheaded the rushing attack in the second half and finished the game with 133 yards and three touchdowns on the ground. Rutledge said that although it wasn’t the greatest of games for his squad, they still put up 48 points in a winning effort. And this time of year, getting a win is all that matters. 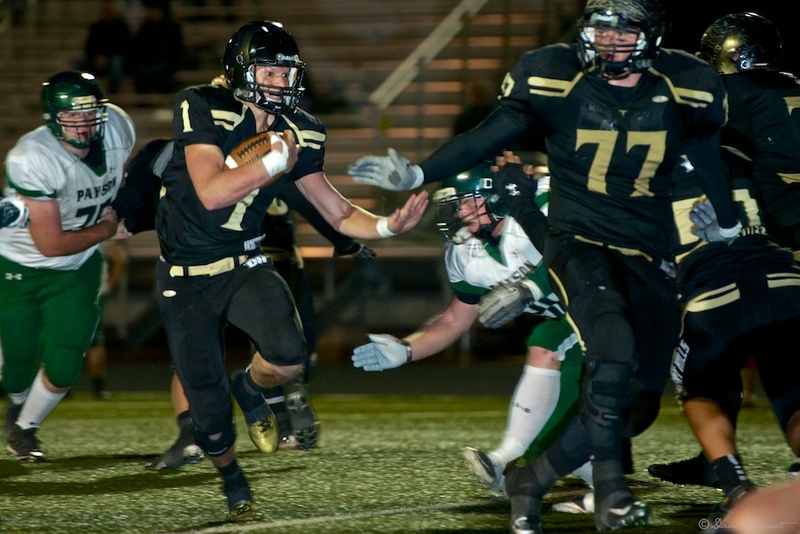 The Thunder improve to 7-3 overall with the win and will play Bear River (7-4) next week in the state quarterfinals after the Bears defeated Wasatch in their first-round game.